Front Porch Artwalk (FPAW) ​is an annual public event hosted at historic Mordecai/Oakwood neighborhood near downtown Raleigh, North Carolina. Up and coming as well as long established local artists will display their artworks on the front porches through the neighborhood. Artwork will include ceramics, photography, glass, jewelry, paintings, fiber arts, bath and body products, sculptures, metal works and more. 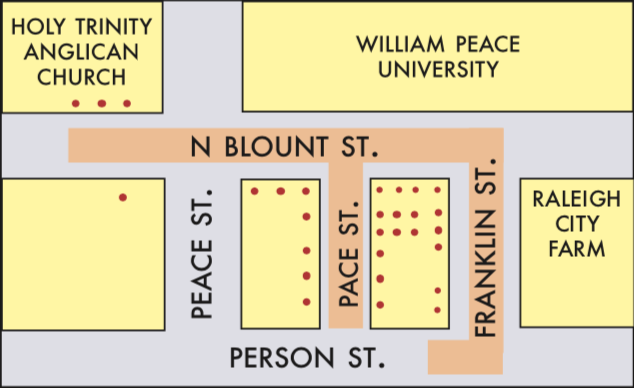 Direction: The event runs from the intersection of Franklin Street and N. Blount and continues down N. Blount Street, crossing over Peace Street towards the city center. Check Google Maps for direction. ​​© COPYRIGHT 2008-2019. FPAW ALL RIGHTS RESERVED.